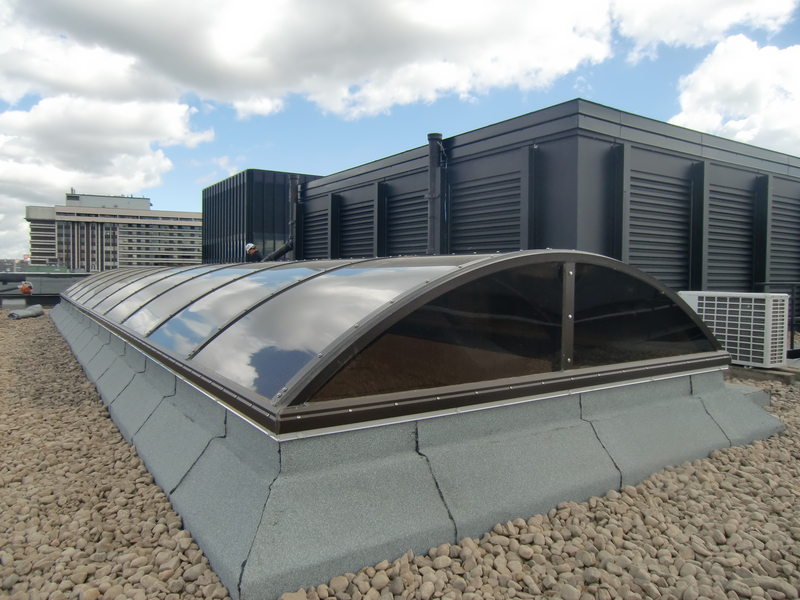 In applications where long linear light wells are indicated the versatile System 250 makes provision Continuous Vaulted Skylights. 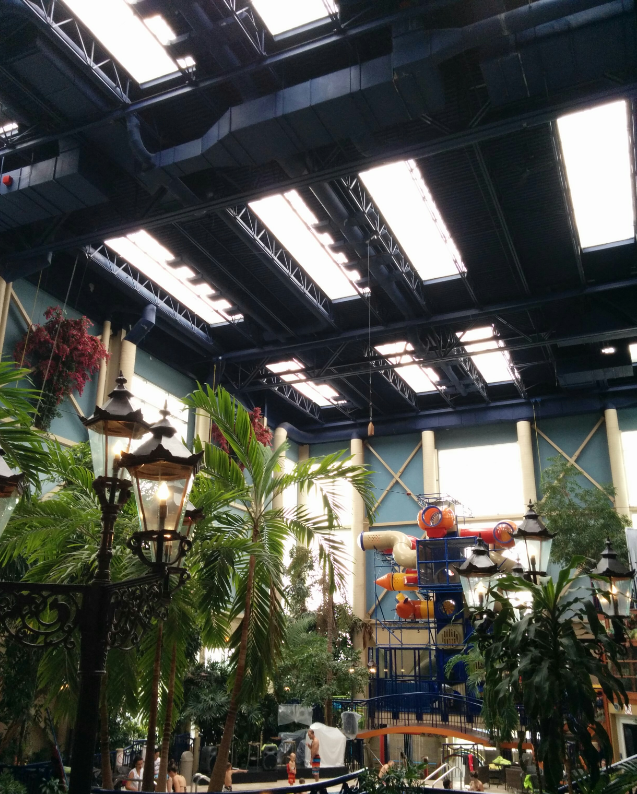 Contemporary architecture in public areas and public buildings often features extensive use of skylighting. For projets such as shopping mails, pedestrian walkways and street shelters, System 250 offers the architect complete design flexibility in linear continuous enclosures. 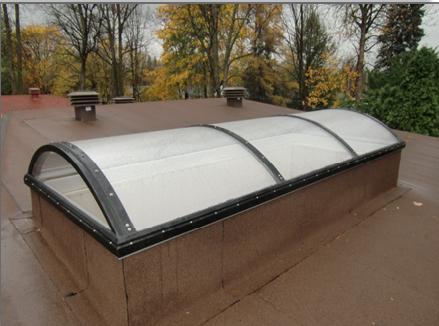 Units consist of a pair of acrylic half end domes and intermediate formed sections mounted into the aluminum frame. 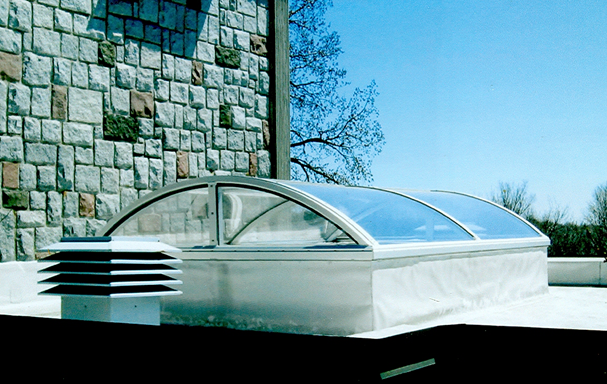 Roll-formed extruded aluminum archs are employed as intermediate glazing members. 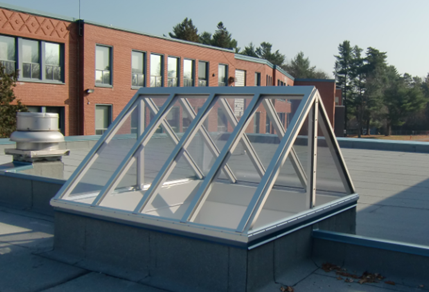 Virtually unbreakable, its impact strenght is 250 times higher than glass, 30 times stronger than acrylic,thus providing added protection against vandalism, burglary and the elements UV resistance, energy efficiency, light weight are additional features offered by polycarbonate glazing in System 250 vaulted skylights. Copyright © 2018 - Verplex. All rights reserved. By Verplex.Ca.